The Lake District, the Pennines and the bucolic countryside of Lancashire help to make England’s North West a great place to go camping. Farmland, forests, fells and a lot of lakes make up the landscape of the region which also claims a long stretch of coastline on the Irish Sea too. The culture-rich cities of Liverpool and Manchester and the seaside resort of Blackpool may dominate the North West, but step away from the bright lights to see the real gems. You’ll find rural landscapes steeped in history, some of England’s most beautiful scenery and a wealth of camping and glamping sites that make the most of it all. Greater Manchester is the second most populous urban area in the UK, but it sits bang in the middle of some of the best scenery in the country for camping. To the east lie the gentle green hills of the Peak District, a National Park graced by the spa towns of Buxton and Matlock Bath, the Caves at Castleton, and plenty of stunning campsites, and to the North and east the Pennines lazily envelop the town in beautiful countryside, waiting to be explored. Camping in Cheshire? Explore Cool Camping’s carefully curated list of the best campsites in the area and book instantly today. Caravan-friendly campsites, scenic spots to pitch your tent, child-friendly camping, we’ve got a campsite for you. Camping in Cumbria is like having afternoon tea in the Ritz. Nothing else comes close. 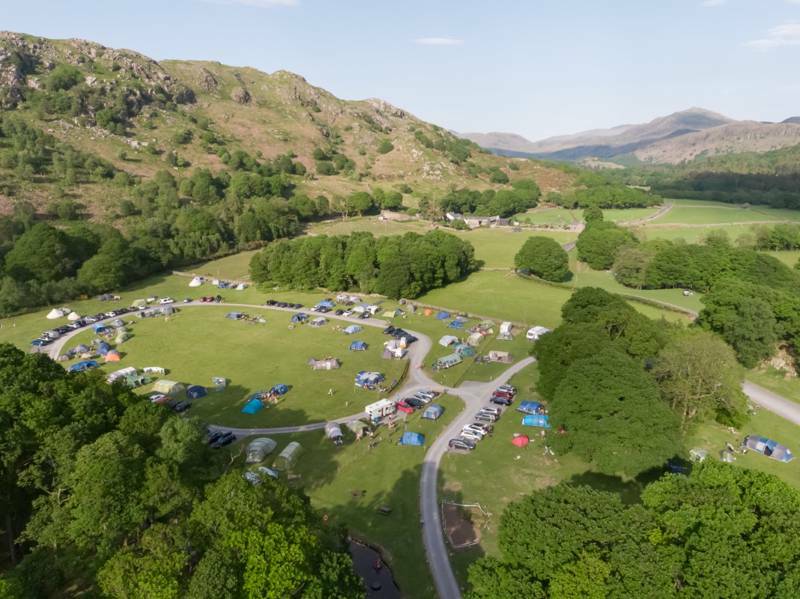 Find the best campsites in Cumbria and the Lake District here, with Cool Camping’s expertly chosen collection – including places to pitch your tent, park up your campervan and even luxury glamping locations in and around the national park. Love camping? Lancashire could be the camping destination for you. 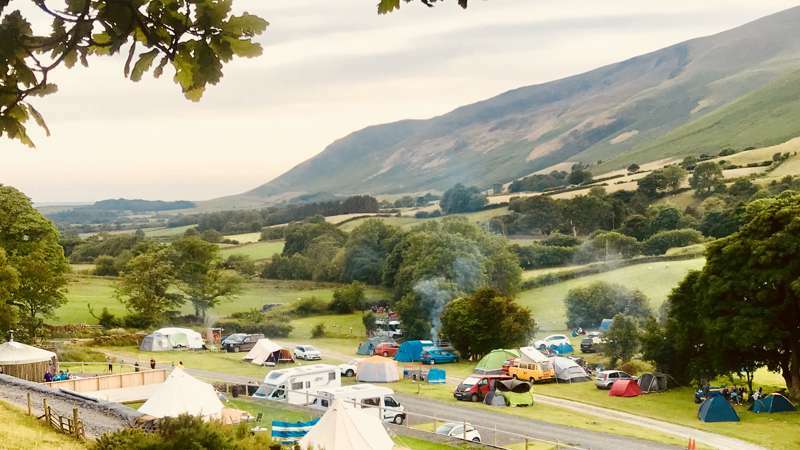 Rural camping with scenic views, romantic retreats, family-friendly woodland camping, you won’t be disappointed with a camping holiday in Lancashire. Discover the hills, fells and moors of the Forest of Bowland with this collection of campsites, all recommended by the award winning team behind the Cool Camping guidebook series. From pods and glamping to tent pitches and family-friendly campsites, your camping needs will be met. Discover the best campsites in the Yorkshire Dales and pitch your tent in prime locations across the national park with this recommended collection from the Cool Camping team. Heading to West Yorkshire to camp? Check out our carefully chosen list of campsites, you’re sure to find a spot to camp that suits you perfectly. After spectacular views at a campsite where dogs and groups are welcome? How about a campsite set close to mountains and forest? Read on and book instantly. It’s no exaggeration to say that the North West of England has some of the country’s best camping. 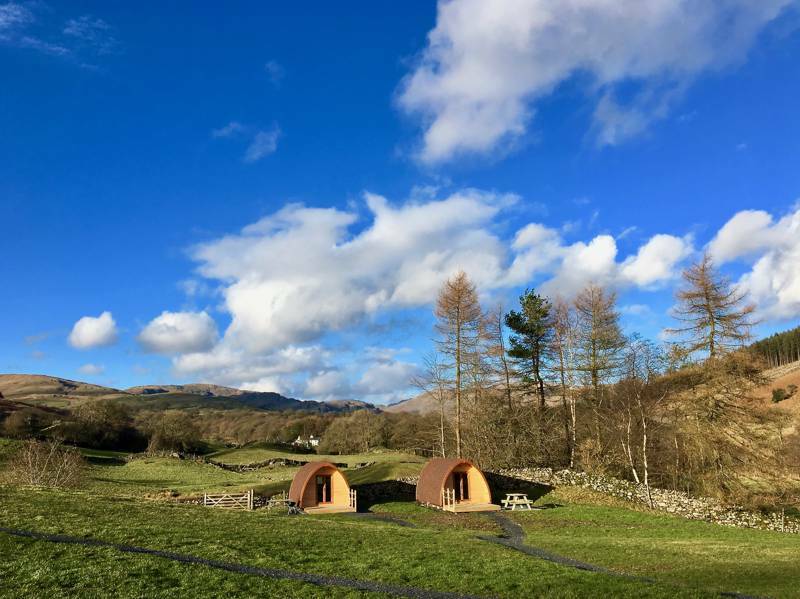 The Lake District National Park is one of England’s most-popular outdoor locations and it follows that it has a thriving camping and glamping scene to meet the needs of those who want to visit. It’s got everything from basic campsites in dry stone-walled farms to luxury glamping sites with all mod cons. But while the Lakes may be the jewel in the camping crown, there are plenty of other places in the region that are worth pitching a tent in. As well as Cumbria and the Lake District, the North West includes Cheshire, Greater Manchester and Lancashire. It has three Areas of Outstanding Natural Beauty and claims the edge of both the Peak District and the Yorkshire Dales National Parks. There are campsites in woodlands and campsites on farms, there are family-friendly sites and romantic retreats for couples. 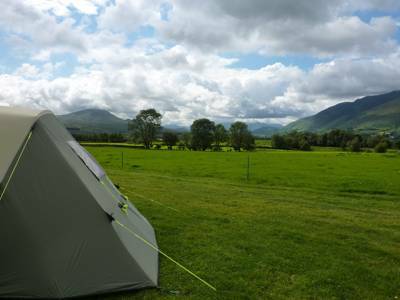 The Cool Camping team have given the thumbs-up to the best campsites in North West England to feature in this collection so whether you want a wigwam near Windermere or a pitch in Lancashire, there should be something to suit you. Tent camping is the accommodation of choice (or necessity) for adventurers the world over. With England’s highest peaks and lots of long-distance footpaths in the North West it’s no surprise that it’s also home to campsites that would suit adventurers. These are campsites from where you can set out on foot to take on the challenge of your choice whether it’s scaling Scafell Pike or walking in the footsteps of Wainwright. Sometimes these places might offer an unbeatable location at the expense of luxury – but sometimes you can find both. A pitch for your tent in a great spot, a hot shower to luxuriate in and somewhere to plug your phone in so you can blog about your adventures later. 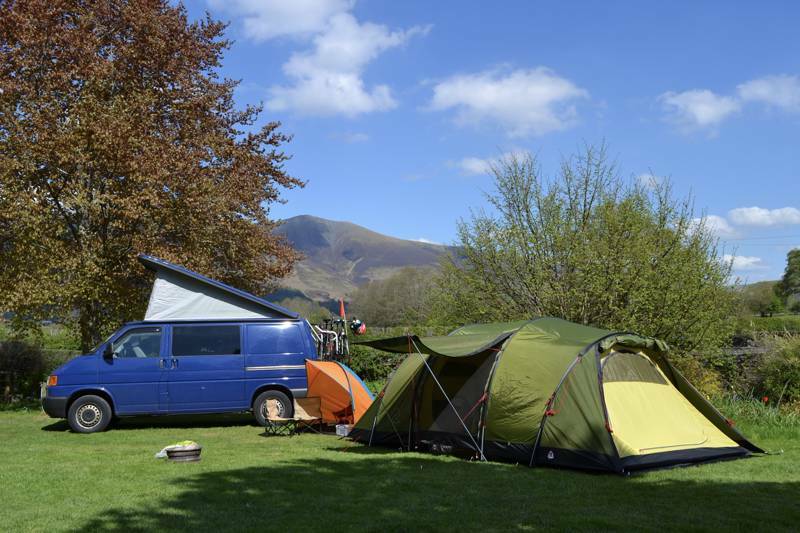 Whether you’re planning an active holiday or not, what could be nicer than camping among the scenery of the Lake District or the farmland of rural Cheshire or Lancashire? With just canvas between you and the great outdoors you can enjoy the sound of the countryside as you drift off to sleep and hear birdsong instead of an alarm when you wake up in the morning. Here at Cool Camping we tend to prefer smaller, independently-owned and run campsites and there are plenty of those in this region. 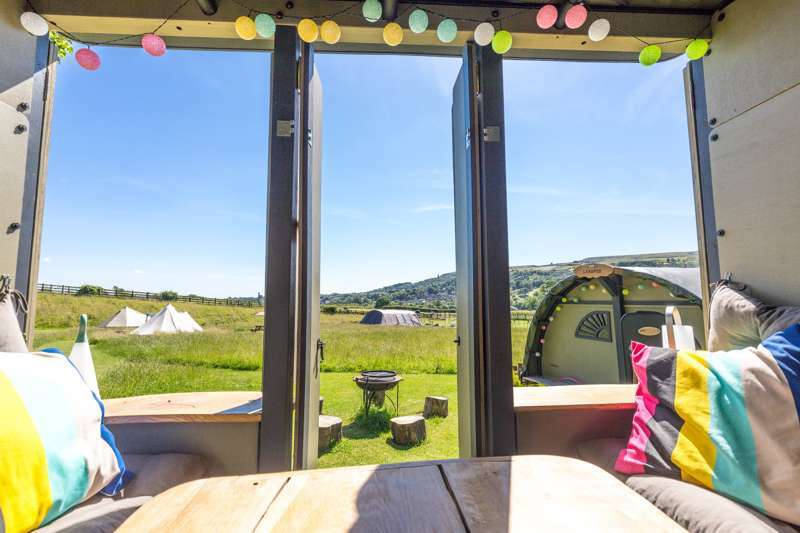 If your idea of a holiday doesn’t include pitching a tent, then you’ll still be spoilt for choice as there are plenty of options for glamping in North West England too. 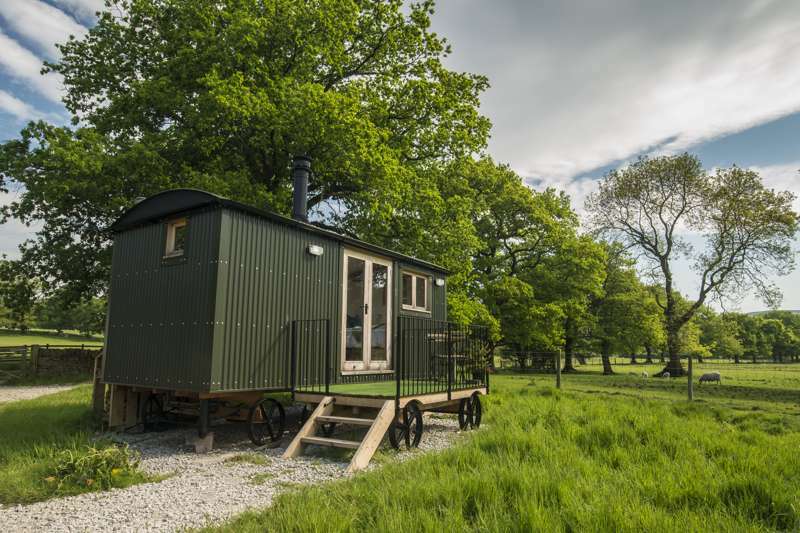 The luxury camping or glamping scene in the UK has boomed over the past 10 years and with one of the top tourist destinations in the country in the North West, the region has not been left behind. There’s a wealth of glamping options to choose from whether you fancy shepherd’s huts, gypsy caravans, bell tents, tipis, yurts, safari tents or something even more quirky. For some people it’s the more luxurious, the better while for others simply avoiding the hassle of putting up a tent is worth the extra cost that a glamping stay usually requires. If you’re staying in summer, a pre-pitched luxury tent is more than adequate to protect you from the elements and keeps the whole experience as close to classic camping as glamping can be but the north of England isn’t known for its high temperatures. Outside of the summer months, glamping in a hut, cabin or luxury tent with a log burner can give you a warm glow – not to mention a look of smug satisfaction when the regular campers are shaking the ice off their tents. Camping is a brilliant way to go on a family-friendly holiday as kids are kept easily amused with the novelty of it all. Chores like pitching a tent, cooking the dinner and doing the washing up can seem like fun in the sociable surrounds of a campsite – and that’s not to mention the real joys of being a kid on a campsite. Children seem to embrace campsite life easily; the great outdoors, making new friends and the chance to run wild means you won’t be able to wipe the smiles from their faces. Even bedtimes can be fun as kids get to read by torchlight and snuggle down in to sleeping bags. If your kids have been nagging you to go camping but you consider pitching a tent to be “roughing it”, glamping could be the solution as it offers the joy of camping with a bit more comfort. Kids will also love glamping accommodation as it often seems made-to-measure for little people with pint-sized proportions needed in gypsy caravans, shepherds’ huts and the like for the tiny-home lifestyle. The North West of England has plenty of family-friendly camping and glamping sites and lots of them have added attractions which make them super suitable for families. There are farm-based sites where kids can meet the animals, sites with streams for pond-dipping and sites where campfires are allowed so you can toast marshmallows in time-honoured fashion. Ah – the Lake District! England’s largest national park has inspired writers and artists for centuries from William Wordsworth and Samuel Coleridge to Beatrix Potter and Arthur Ransome (of Swallows and Amazons fame). Even John Cunliffe – creator of kids’ TV favourite, Postman Pat – is said to have found inspiration here. The idyllic scenery portrayed in all these works is recognisable just about everywhere in the Lake District National Park. Its 912 square miles is home to England’s highest mountain and its largest lake. There are 16 ‘meres’ or ‘waters’ (technically only one is actually a lake), about 200 fells and thousands of miles of footpaths. No wonder then, that it is such a magnet for walkers, hikers, mountain bikers, climbers – and people who just appreciate a good view. The Lake District’s towns and villages are crammed full of tea rooms and pubs, outdoor shops and small-scale attractions that are great for rainy-day activities when you’re camping or glamping. You can visit Wordsworth’s former home, Dove Cottage, in Grasmere, take a cruise on Windermere, visit the World of Beatrice Potter or discover the Derwent Pencil Museum. But of course, the main attraction is the landscape itself. 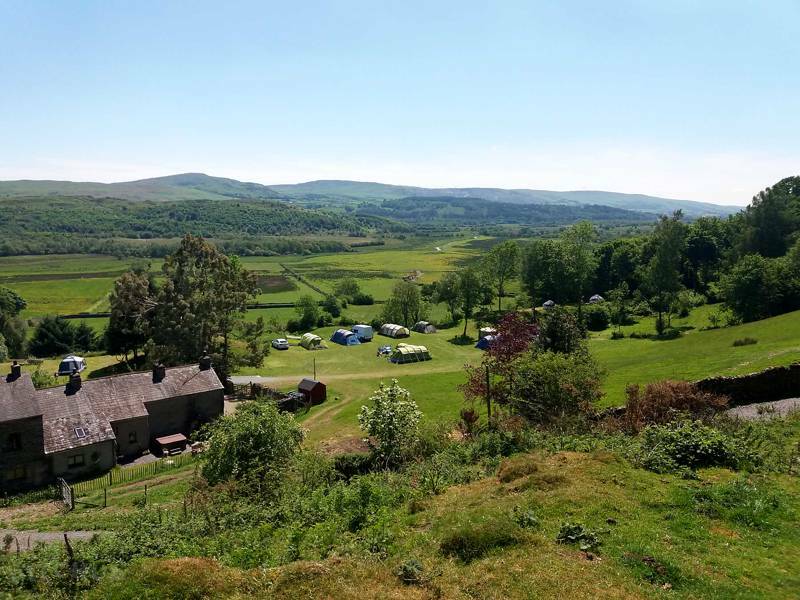 There are plenty of lakeside campsites and campsites with mountain views so whether you’re an artist or an adrenaline junkie, camping or glamping will help you make the most of this simply stunning region. Cumbria has more than its fair share of natural beauty in the Lake District National Park, but it doesn’t end there. In its far reaches, as far north and west as you can go before hitting Scotland, is the Solway Coast Area of Outstanding Natural Beauty. Remote and tranquil, this stretch of the north-west coast and its hinterland includes sand dunes, peatlands and salt marshes and is great for wildlife and birdwatching. If you’re camping near here, you might like to visit Campfield Marsh RSPB and the Solway Wetlands Visitor Centre. The county also edges on to the Yorkshire Dales National Park. This region of river valleys and the hills between them, offers a more gentle, but no less beautiful, landscape than the Lake District with more walking trails and footpaths than you could possibly hope to conquer in a single visit – the Pennine Way among them. The third national park that’s partly in England’s North West is linked to the Dales by the Pennine Way. The Peak District is where this long-distance footpath begins. While this national park is truly in England’s heartlands and mostly in Derbyshire, it reaches in to the north-west counties of Cheshire and Greater Manchester. It’s easily reached from cities in the north and the Midlands so makes for a great place for a camping or glamping getaway. Like the Lake District, it’s an outdoor lover’s paradise that’s especially popular with walkers and climbers. Take a look at our dedicated Peak District guide to camping and glamping for more campsites in this area. 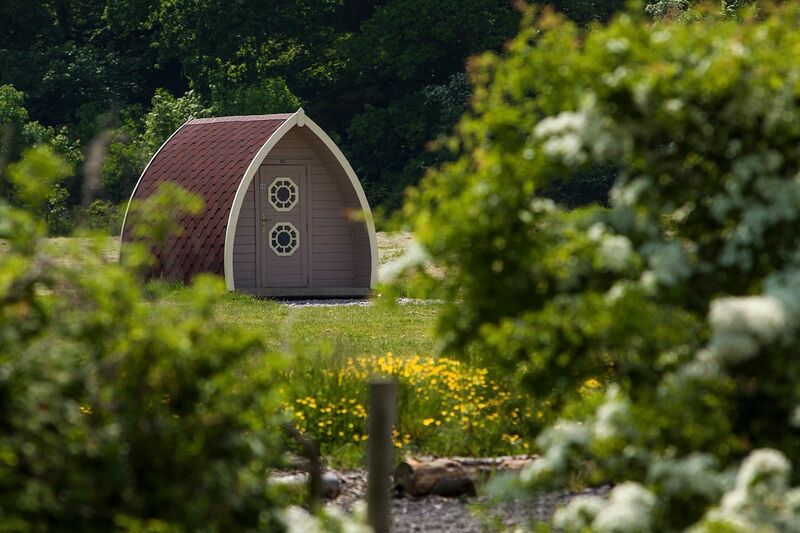 The county of Lancashire offers yet more great camping and glamping in the North West. Easy to reach for city dwellers looking to escape Manchester, Liverpool or Leeds, it has coast, countryside and canal banks that all offer adventures in the outdoors and perfect places to pitch up on a camping or glamping holiday. The region’s most-famous beach is at Blackpool and while it’s great for a day out, away from the thrills and spills is where you’ll find campsites near the coast that get the thumbs up from us. The Arnside and Silverdale Area of Outstanding Natural Beauty, includes 28 square miles of protected landscape including the famous Morecambe Bay and the RSPB’s Leighton Moss Reserve – the largest reedbed in the North West. Above all though, Lancashire is a rural county and country camping is its mainstay. There are lots of meadow and farm-based camping and glamping sites and lots of places to explore from rustic villages to ancient woodlands. Another Area of Outstanding Natural Beauty, the Forest of Bowland, is a lovely area to camp in or near. At 312 square miles, it’s much larger than Lancashire’s coastal AONB and is characterised by forests, moorland and gritstone fells. It’s popular with fell runners, walkers, climbers and cyclists and there are plenty of outdoor pursuits companies to help you make the most of it. Nearby, is Pendle Hill – site of the famous Pendle witch trials; a fascinating place to visit and a prominent landmark from where there are great views. South of Lancashire are the counties of Merseyside, Greater Manchester and Cheshire. Merseyside is a metropolitan area with Liverpool at its heart. Within the city there are dozens of attractions and things to do from discovering The Beatles Story to visiting the home of Liverpool Football Club at Anfield. In Manchester it’s a similar story: another vibrant and multicultural city with all the attractions you’d expect and Old Trafford stadium as one of its main tourist attractions. For campers it’s the outer edges of Greater Manchester and Cheshire that might hold more appeal though. Greater Manchester’s urban sprawl quickly gives way to the Peak District’s beautiful countryside so whether you are looking for a quick getaway from the city or want to camp somewhere that’s close enough to make a trip in to town, the Peak District could be a good option. Cheshire has a more rural feel than its neighbours, especially in the south. The county has a rich heritage which is no more apparent than in Chester with its Roman amphitheatre and thousand-year-old cathedral. But it’s also home to castles, stately homes and gardens out in the rural areas that could provide days out during a camping holiday. The flat lowlands of the Cheshire plains in the south, neighbour the Shropshire Hills Area of Outstanding Natural Beauty, a lovely area for walking, exploring and, of course, camping. •	Go walking! There are so many rural spots that are best discovered on foot and many long-distance footpaths criss-cross the region. •	Visit the Lake District. Even if you are not camping in the Lakes, it’s worth making a detour for at least a day there. •	Pack a picnic of local produce for days out and about – don’t forget the Kendal Mint Cake! •	Paddle in the Irish Sea: Blackpool or Morecambe, Solway Coast or Silverdale, you can choose from resorts and remote beaches. •	Pop to a local pub for a Lancashire Hotpot. North West England at Campsites in North West England, Why not check out the North West of England for your next camping trip. All bases are covered, with farm camping, dog-friendly sites, campsites where you can light a campfire, spots where you can pitch your tent with a lovely view. You’re sure to find a campsite you like the look of.